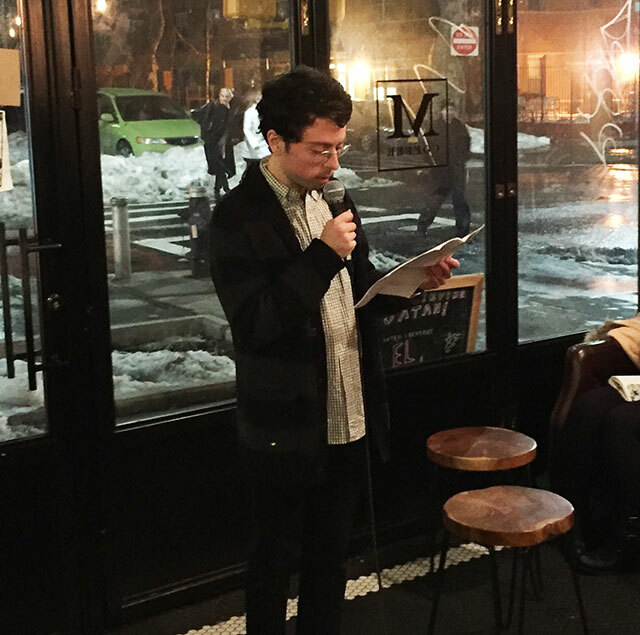 The popularity and success of Franklin Park’s reading series has meant that Roth has had more difficulty finding space in lineups for young, emerging writers. Most Franklin Park readers have at least one published book, and often more. The Manhattanville reading series strives to fill that gap by offering a place for authors who have not yet published a book. The germination of the Manhattanville Series began somewhat accidentally. 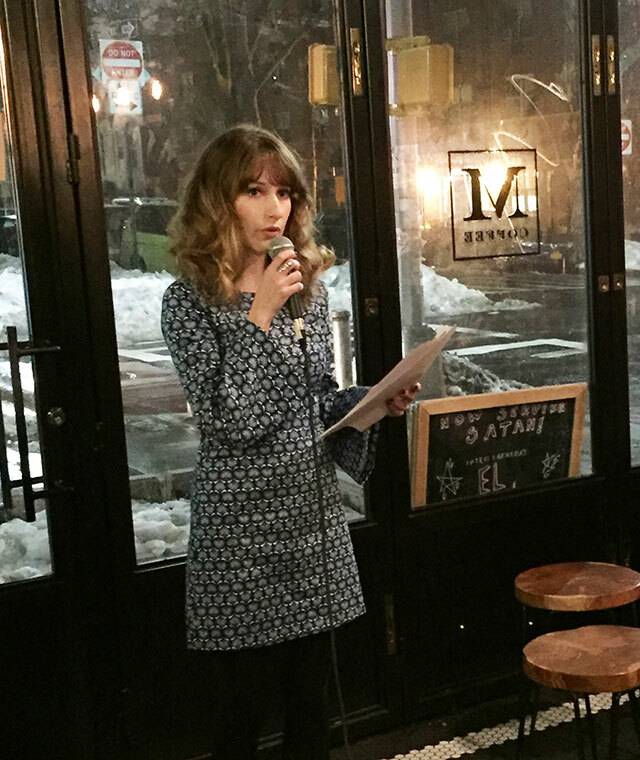 Roth approached the coffee shop for a cross-promotional giveaway for the Franklin Park Reading Series and owners of Manhattanville Coffee mentioned they were interested in connecting with the literary community. The Manhattanville Series was born as a result and Roth raced to get the series up and running. Manhattanville Coffee has two locations, one in Harlem, and the recently opened cafe between the Franklin Ave and Nostrand Ave Stations in Crown Heights. The shop serves sandwiches, pastries, and the usual array of coffee drinks and provides a comfortable and cozy atmosphere. 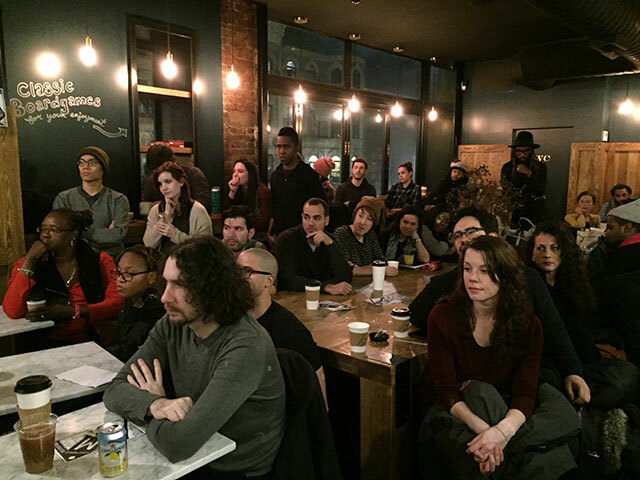 The launch of the Manhattanville Series on January 26, 2016, brought a packed crowd of fifty to sixty people despite snow piles, slush rivers, and freezing temperatures. There was standing room only when the first reader, Madeline Stevens took the stage. 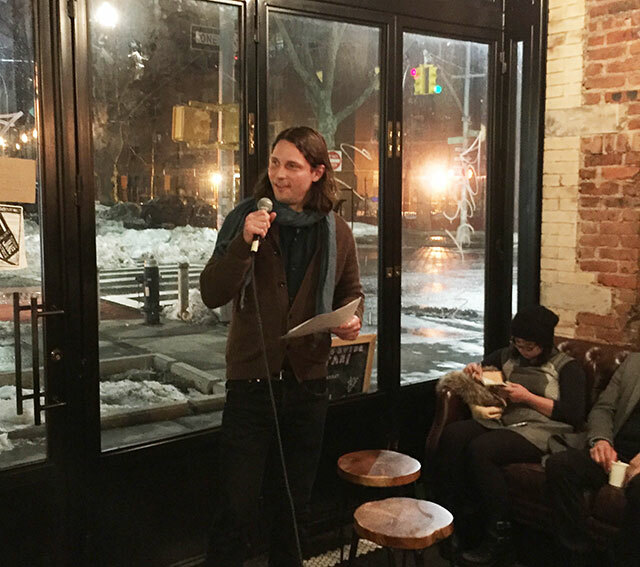 The second reader of the evening was Jesse Kohn, also a Crown Heights resident. His work has appeared in places like The Rumpus, The Atlas Review, Bookslut and elsewhere. He read from a short story, a form he has been working a lot with lately. He says he has written a novel manuscript but doesn’t see it as something can be salvaged, and plans on working on a new manuscript eventually. 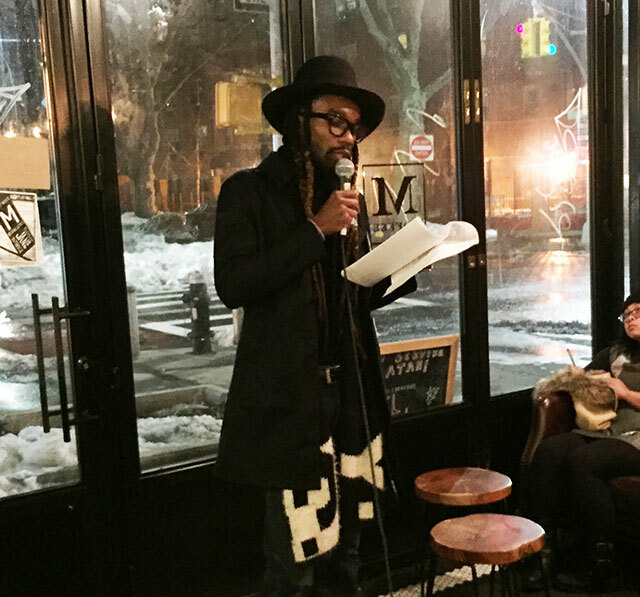 After taking a short break, the third reader, Yahdon Israel, took the stage. He is also known by and for popularizing the hashtag #LiterarySwag on Twitter and Instagram. His goal is about endearing reading to people who aren’t ordinarily into books or who may not even know people who are readers. He read a piece about lying about his age as a freshman in high school. He has a crush on an older girl and is convinced it is the only way she would talk to him. Eventually, the narrator accidentally reveals the lie and the girl breaks up with him. The final reader was Will Chancellor, author of the novel A Brave Man Seven Storeys Tall. He read from his new novel, To Test The Meaning of Certain Dreams. He describes it set in the middle of nowhere Russia in the 1960s. It was the first time reading from the novel. Chancellor has previously read at Franklin Park, and each of the Manhattanville readings will feature an author who has already published and who will help draw audience members. So far, the tentative lineup of headline readers sounds like a who’s who of the Brooklyn literary community, meaning the Manhattanville Series is sure to be a success. The next Manhattanville reading series is scheduled for the last Tuesday in February. Submissions for consideration can submit 3 to 5 pages to manhattanvillereadingseries@gmail.com.